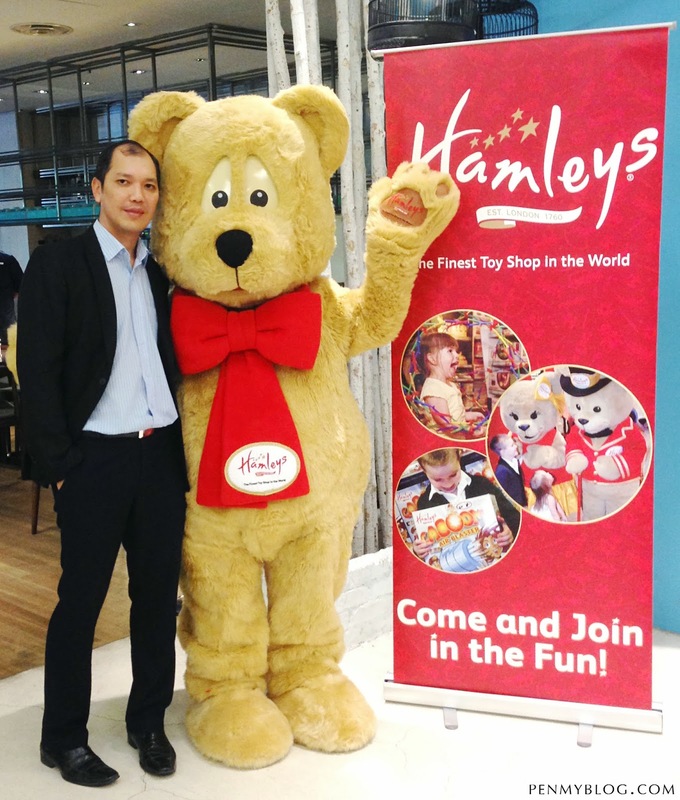 For those of you who have been to London, I am certain that you know that when you think of Hamleys, you think about being transported into a world of magical experiences where toys come alive to bring joy to children of all ages and that everything around you that is basically an experience to remember. It's nothing short of a comparison to Mr. Magorium's Wonder Emporium or Harry Potter's Magic School of Hogwarts of course but Hamleys is now bringing that wondrous magic across to Malaysia by opening its doors to the public in One Utama on the 30th November 2013. 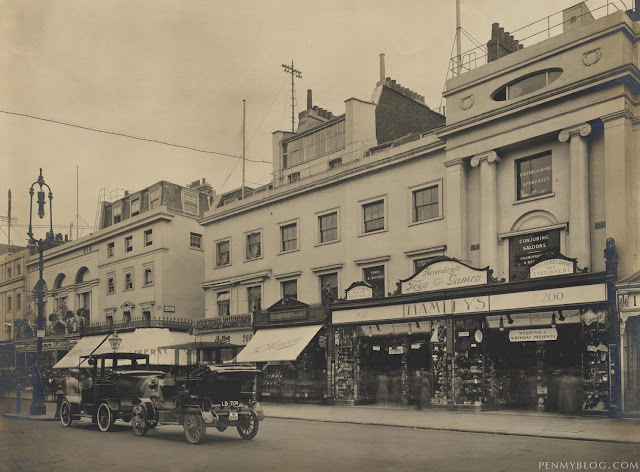 To backtrack to its rich history of 250 years, William Hamley, a Cornishman from Bodmin, England began Hamleys rich background when he opened his very first flagship store in the 1760's at Holborn, London. 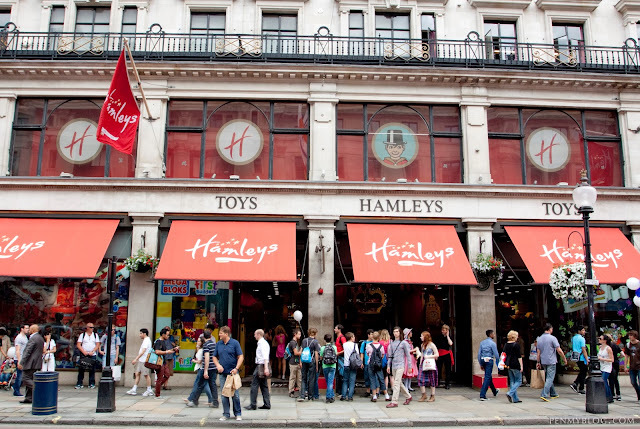 Peaking from it's move to Regent Street, London in 1881, Hamleys flagship store is now marked as a 'Must Visit' landmark to the public that spreads 40,000 different toys across 7 vast floors. 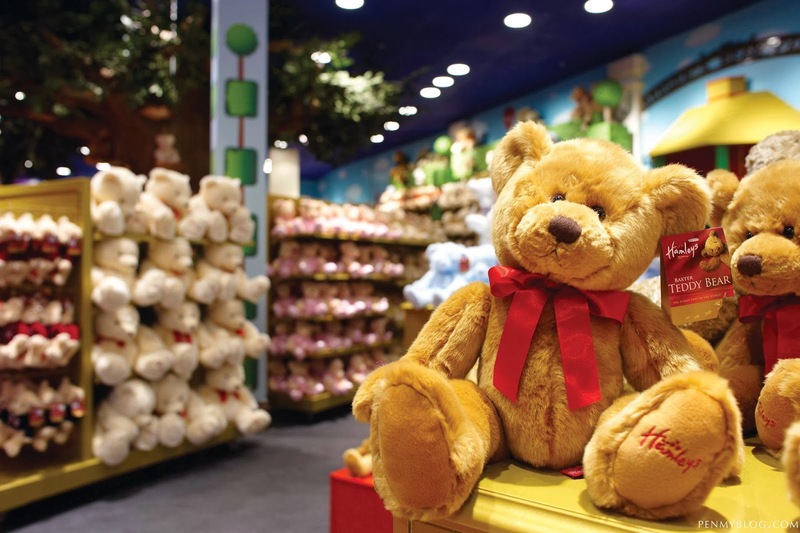 Establishing itself into a global brand, Hamleys has now 30 stores across 12 countries and territories including India, Russia, United Arab Emirates and Scandinavia. 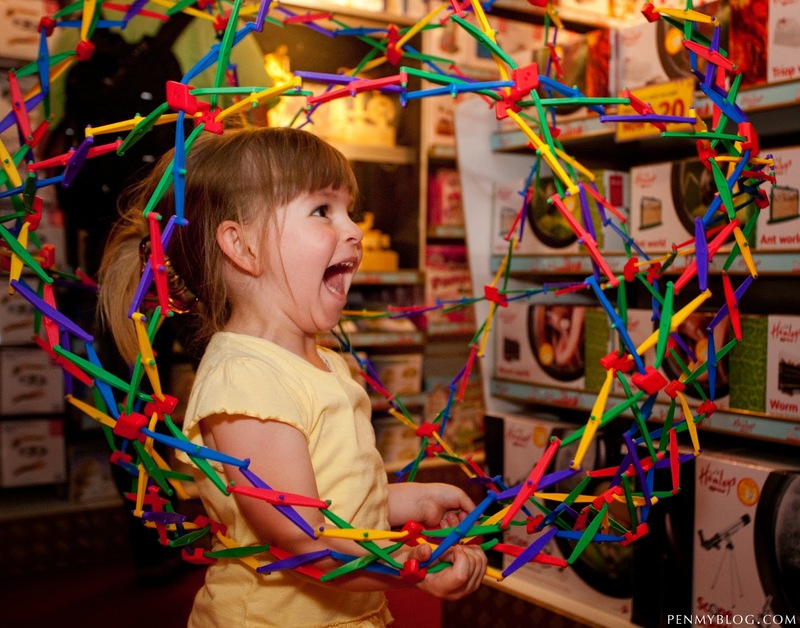 Having a great time with Hamleys Sphere! 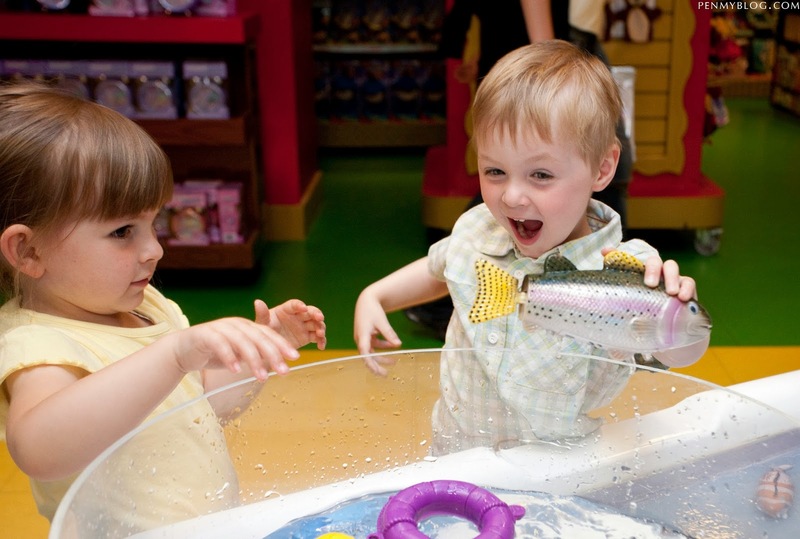 What is unique about Hamleys, is that the store prioritizes a lot on hands on experiences such as engaging its shoppers with store entertainment and colorful toy demonstrations. The unique designs in Hamleys Toystore. 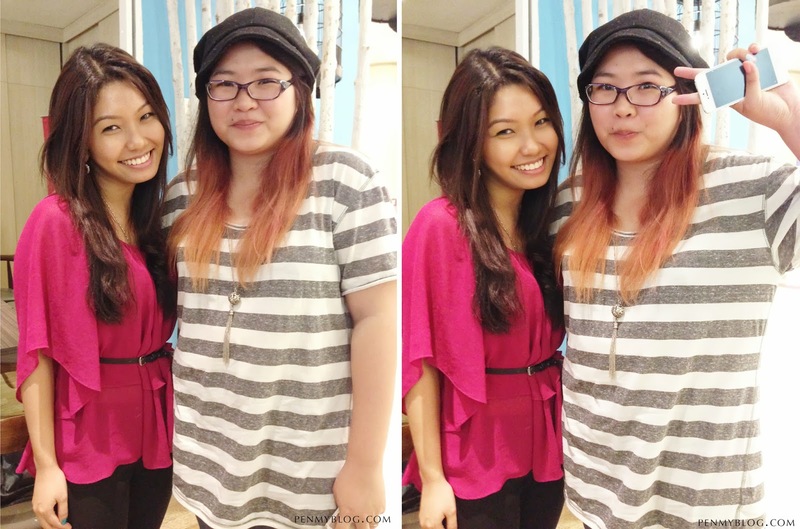 A bathtub in the house maybe? Ah I caught a fish! What a colorful station. 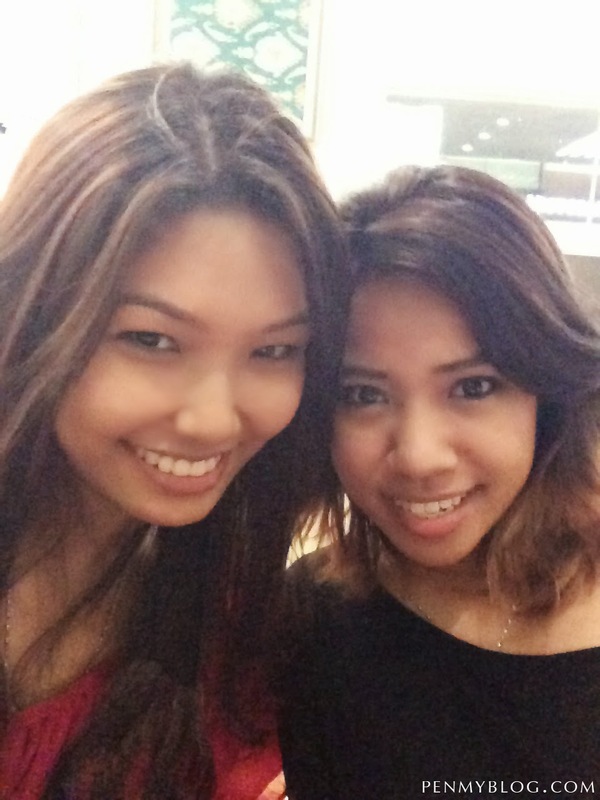 Let's paint together! 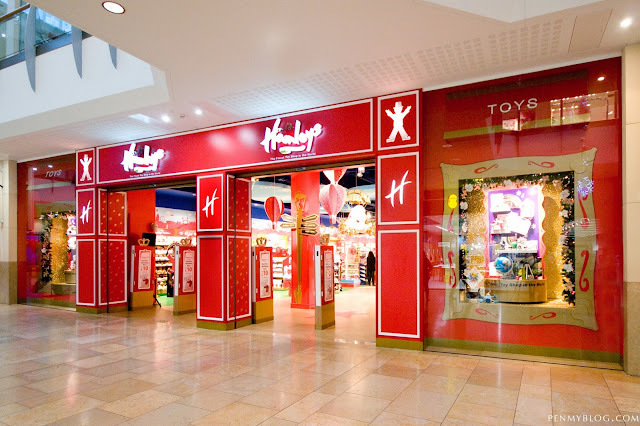 With regards to its high demand popularity, Hamleys do not only provide the public with unique and fun experiences but also takes care in showing its absolute commitment to toy safety that comply with the international requirements of the Toy Safety Directives. To guarantee it's products authenticity, suppliers of Hamleys will need to sign off on the Memorandum of Understanding with the International Council of Toy Industries (ICTI) to ensure that toy safety standard and social responsibility such as environmental concern, fair and lawful employment and workplace safety are met. As we were eager to know more, we were invited by Everquest and was recommended by our very own Mimi Teh from Bag of Love to have an intimate interview session with Mr. Kim Manaf; Director of GRV Toy Store at Delicious Cafe in One Utama. For those of you who are curious, Hamleys exclusive house brand toys would comprise 30% of all the toys in Hamleys. As we nursed our drinks, we were also told that these house brands would only be available in Hamleys itself and even though they do have their seasonal collection of toys, they will be in limited numbers only. 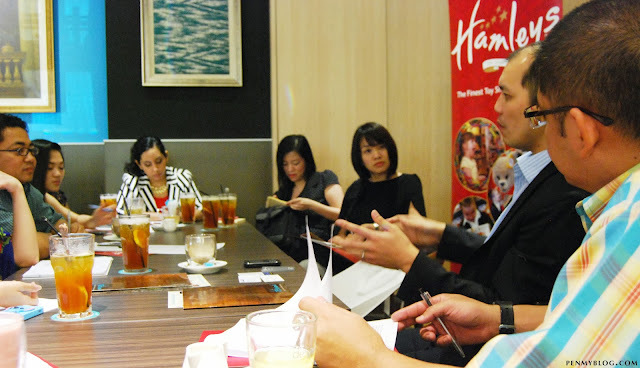 For Mr. Kim Manaf, summing up Hamleys in that one special word would have to be "Magic" for both adults and kids. 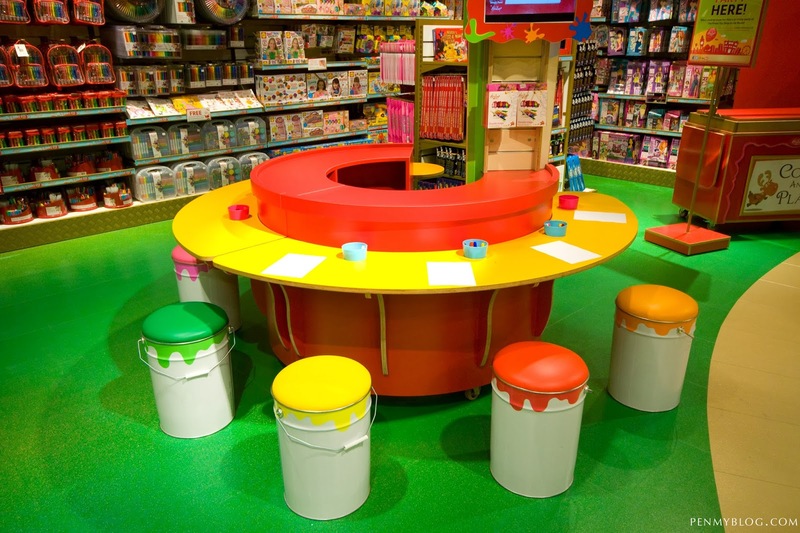 Although interactive experiences and face-to-face activities is a given, but Hamleys also provides the opportunity for the adults to relive their childhood days as well. 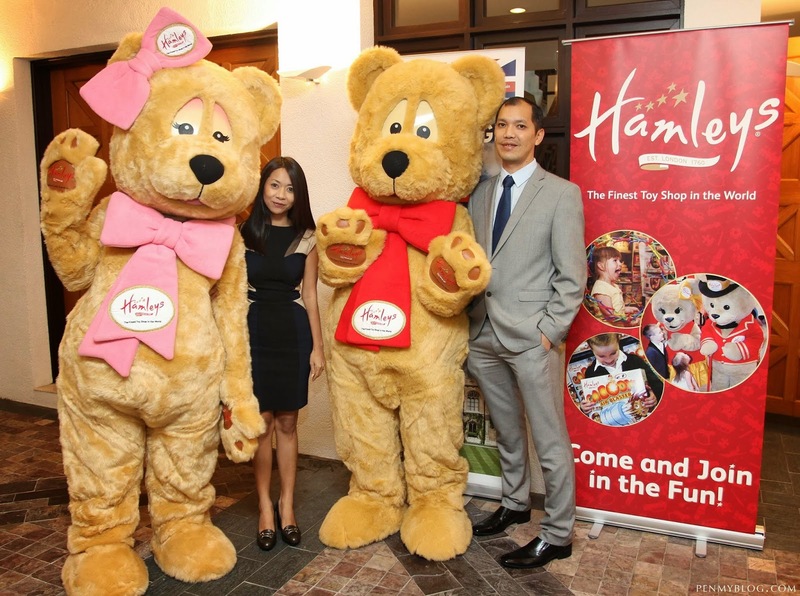 In the long run, Hamleys are planning on opening 5 stores within the duration of 5 years. With regards to the locality of the other 4 stores, Hamleys is planning on KLIA, Penang, City Centre and another in a suburban area in the Klang Valley. With regards to driving its customer experiences through digital, Mr. Manaf believes that by going towards a more 'brick and mortar' approach is qualitatively much better to enhance the Hamleys experience rather than going through an online shopping website. And for all those parents out there, guess what? 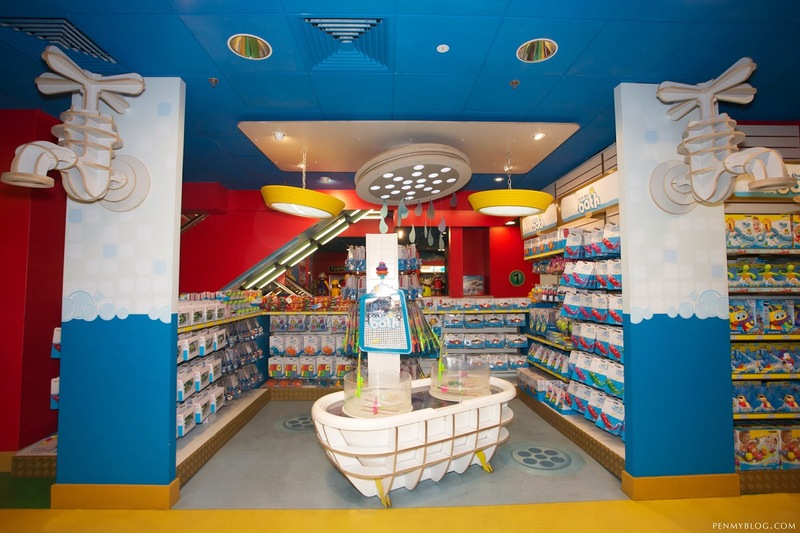 A Party Room will also be available at Hamleys flagship store in 1 Utama for you to conduct birthday parties for groups of 10-12 kids. 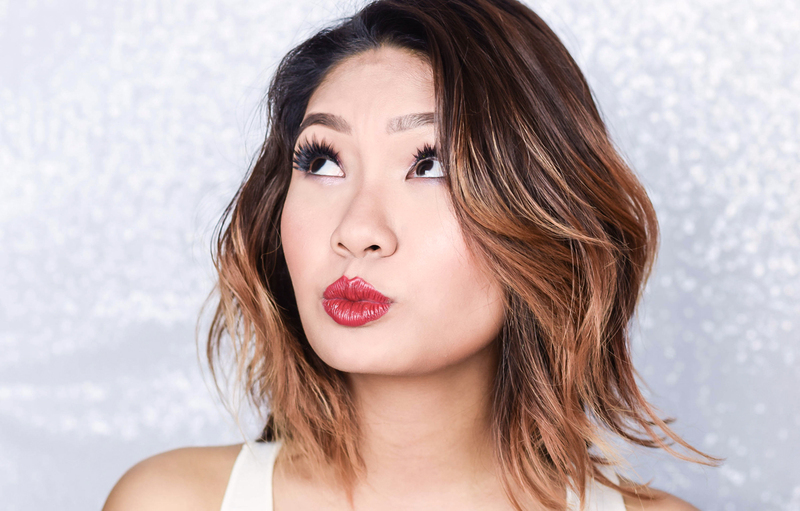 So get ready your hosting speeches and gather your kids for a celebratory themed birthday extravaganza. 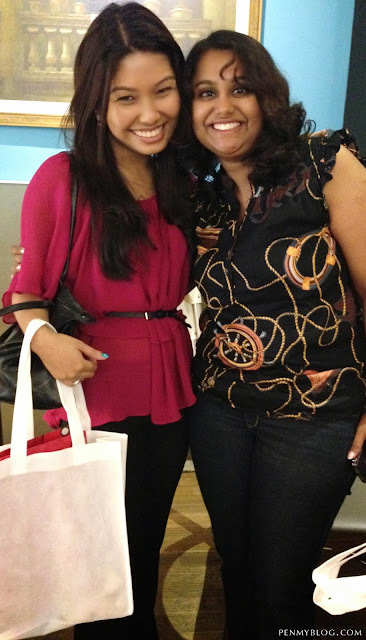 I also met up with fellow bloggers who share the same enthusiasm and excitement on Hamleys and I have to say that they are the most wonderful and friendly people you could ever meet. With beauty and lifestyle blogger Sharon Sree Ganesh. In conjunction with opening the first Hamleys flagship store in Malaysia that spreads over 20,378sq.ft., the first 500 shoppers will receive an Angry Bird Card Games worth RM20.90. There will also be Ben 10 Bloxx character walkabout and free popcorn sampling at the store opening along with many great offers. 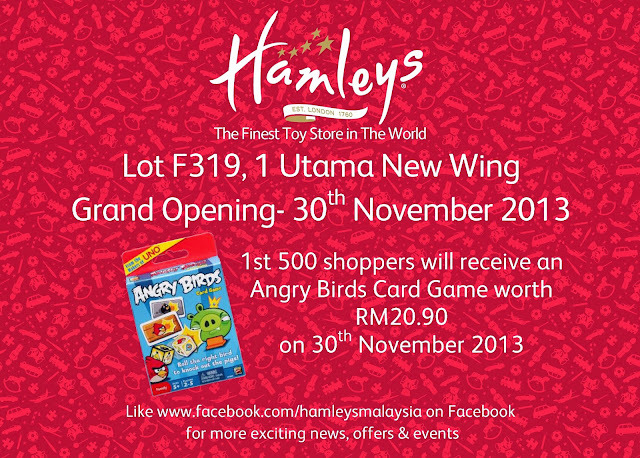 For more exciting updates, do log on to Facebook and hit that like button on Hamleys Malaysia. 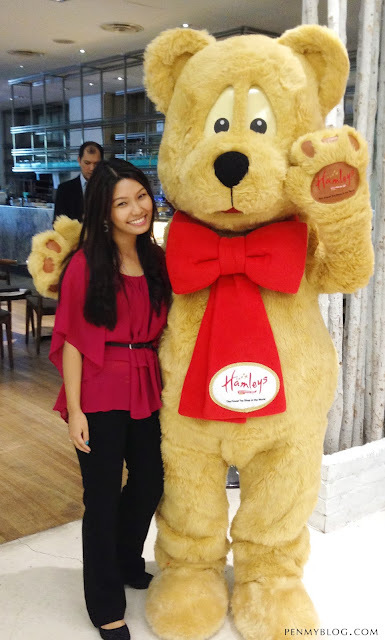 If you are lucky you might catch a glimpse of Hamley Bear's cute sister Hattie on walkabout too! So join Hamleys for a magical experience and hope to see you there on the 30th! 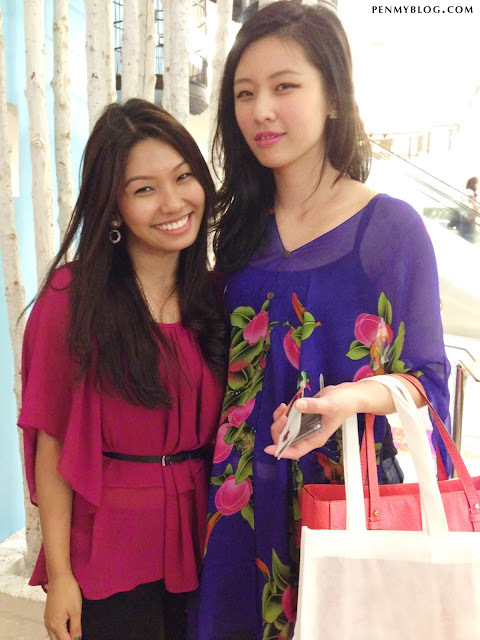 Looks so exciting and enticing... hehehe, can't wait to bring Sofiah there and see her smile with glee with all the toys there.